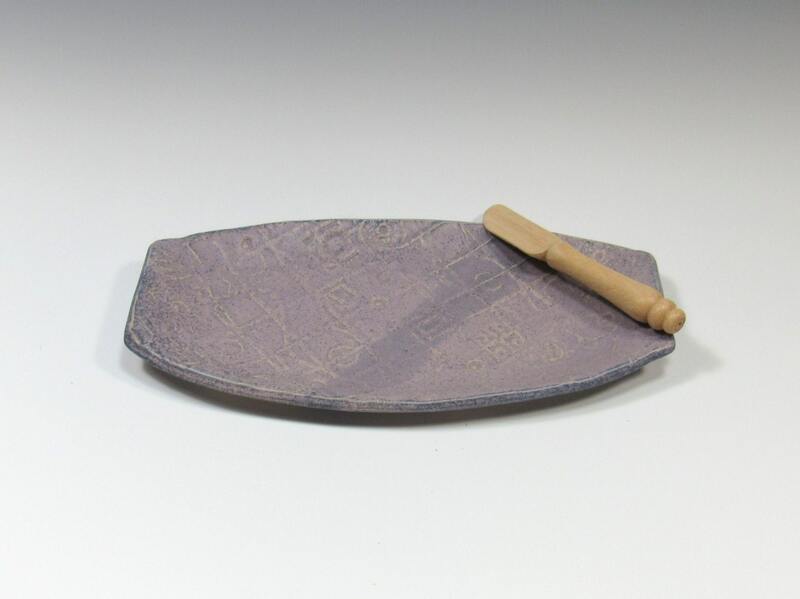 I made this pottery plate as an appetizer tray. 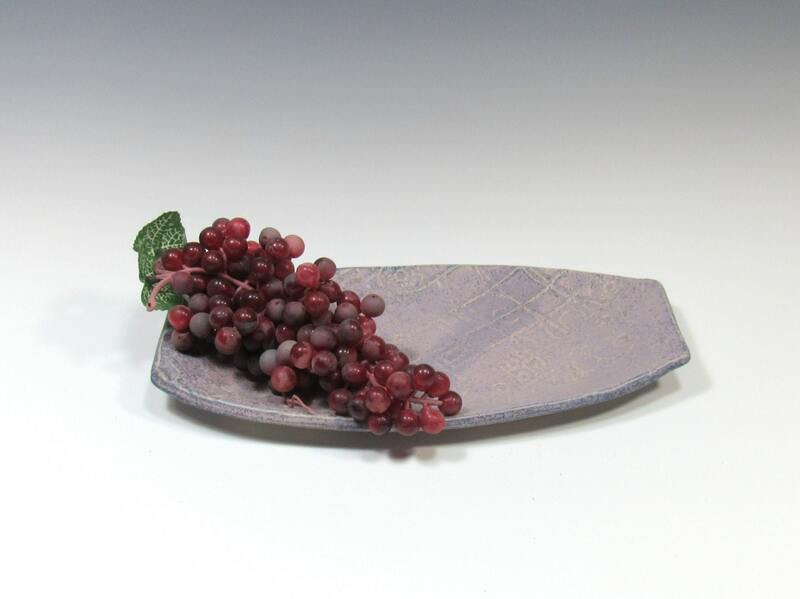 It is ideal for serving veggies, sushi, cheese and pita bread, or fruit . 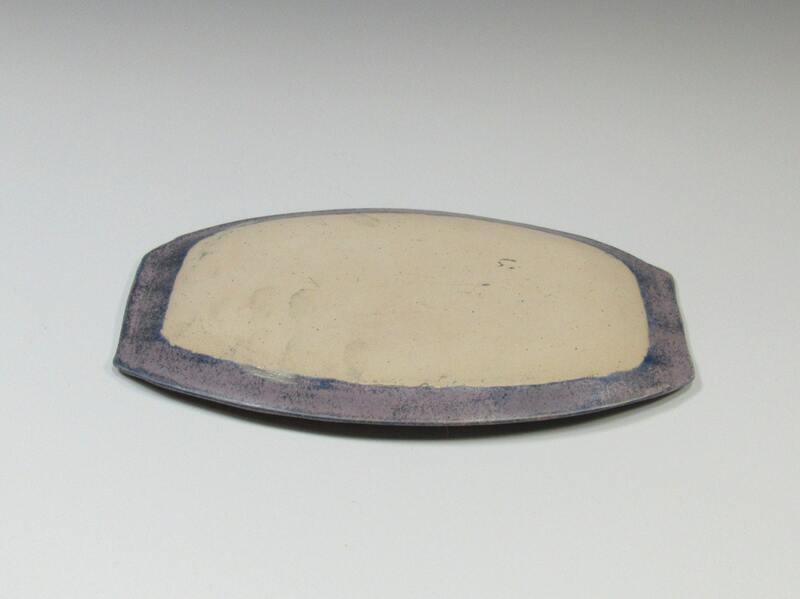 This ceramic serving tray can also be used as a dresser valet and organizer to hold jewelry and other odds and ends. 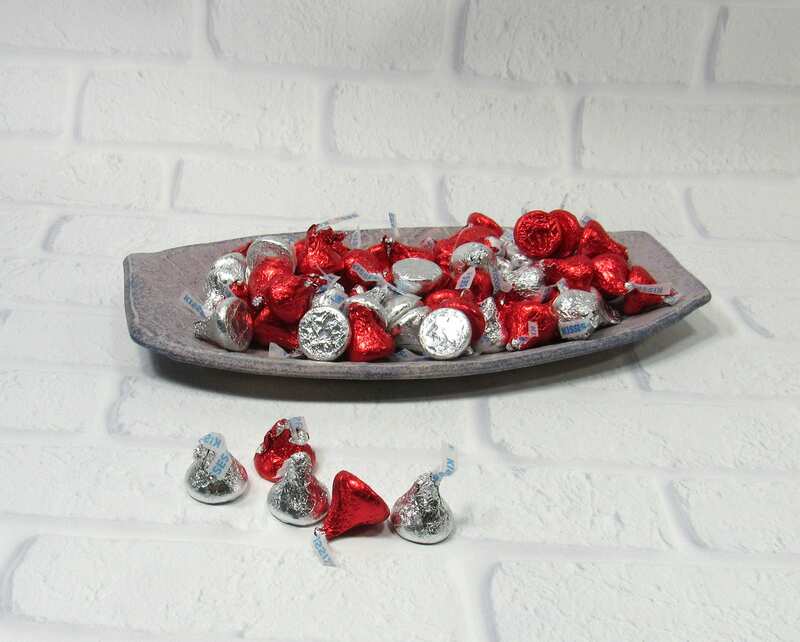 The decorative tray is 10.25 inches long by 5.25 inches wide. 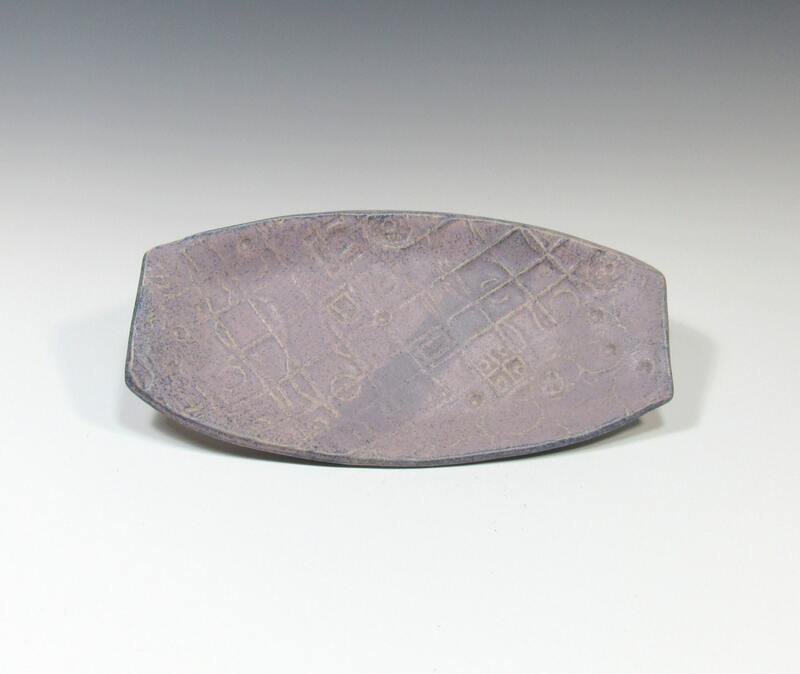 I made this tray from a slab of clay using an old tray of the same size as a mold. I textured the clay using wooden rollers and stamps. 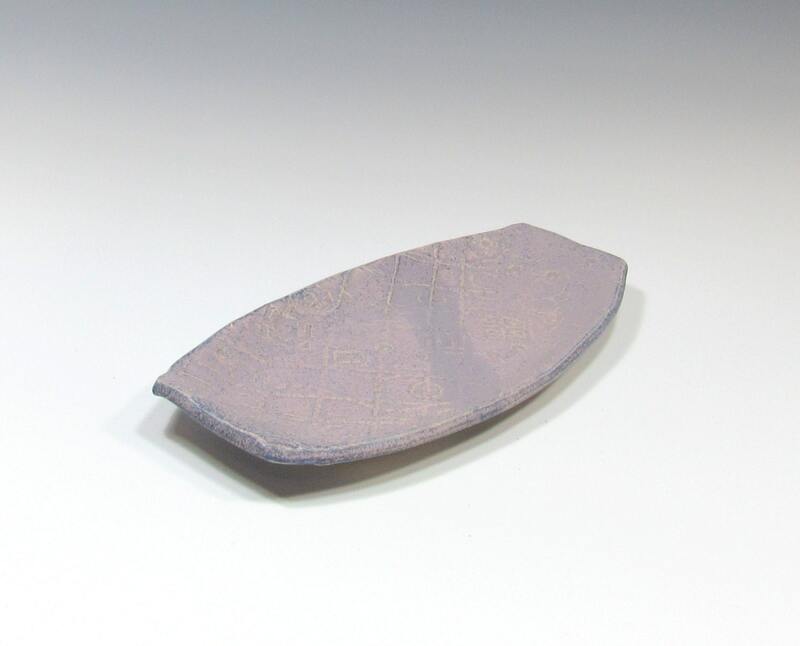 After the first firing, I dipped it in a matte purple glaze that has pink and lavender highlights.